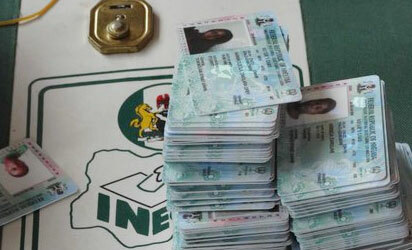 The Independent National Electoral Commission (INEC) has released the total number of collected Permanent Voter Card (PVC). 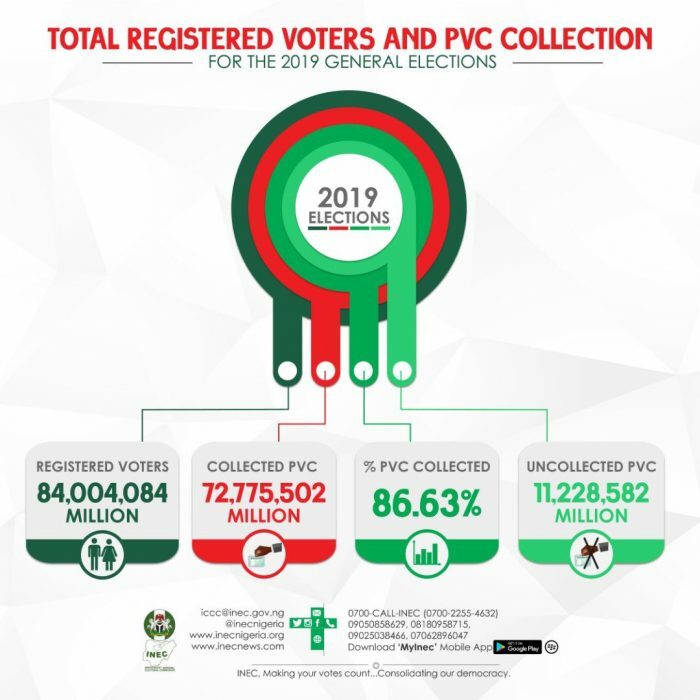 The electoral body which said registered voters in the country were 84,008,048 noted that 72,775,502 Nigerians representing approximately about 87% have collected their PVC. This was made know through a break down of the details obtained by POLITICS TIMES through the commission’s website. 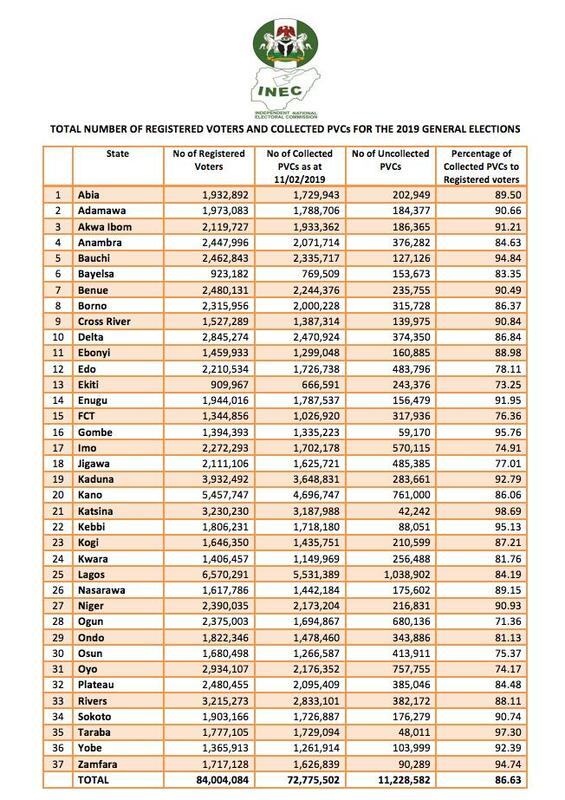 The data by INEC showed Lagos State with over 5.5 million is the highest state where the PVCs has been collected. 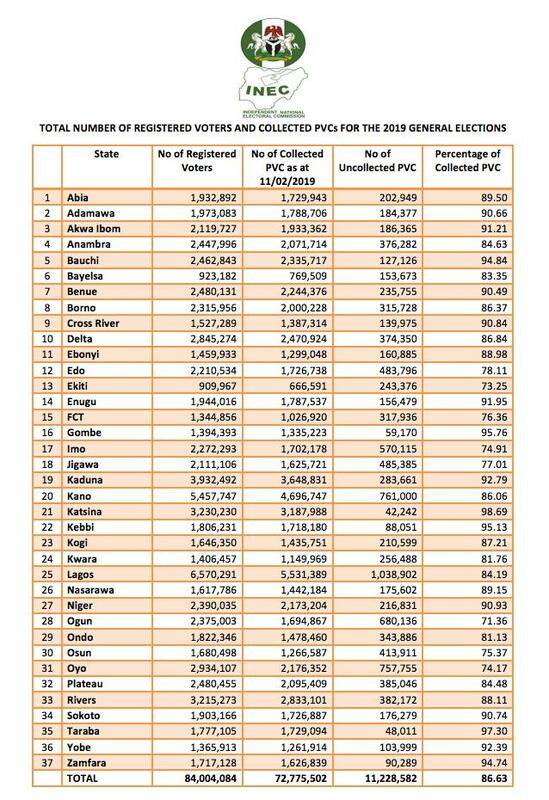 Trailing the South-Western State, is Kano State with over 4.6 million PVCs collected. 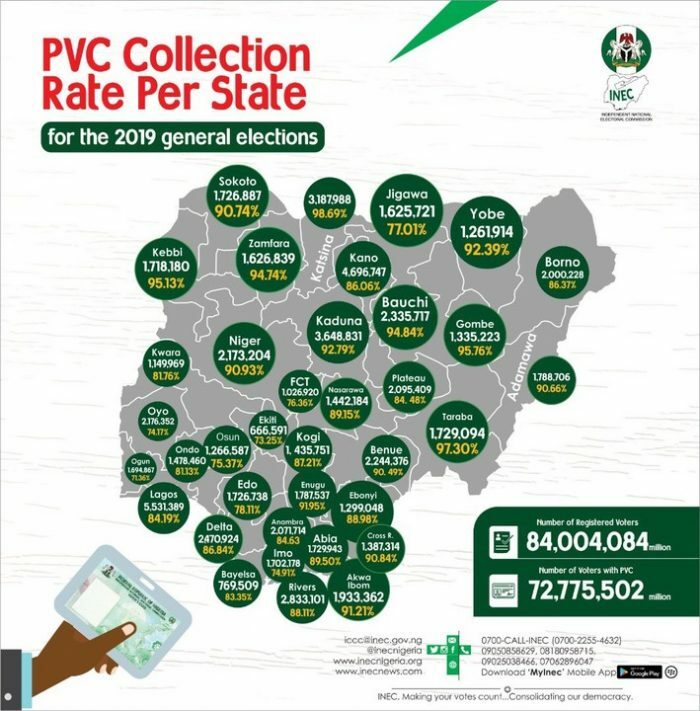 The post See The State By State Breakdown Of PVCs Collections (Photos) appeared first on Naijaloaded | Nigeria's Most Visited Music & Entertainment Website.